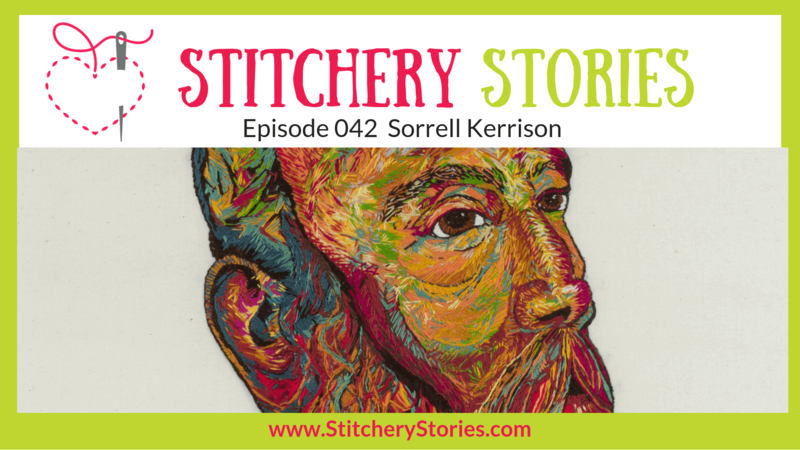 Today on the Stitchery Stories embroidery and textile art podcast, Sorrell Kerrison shares her life in fabric & thread, and music! 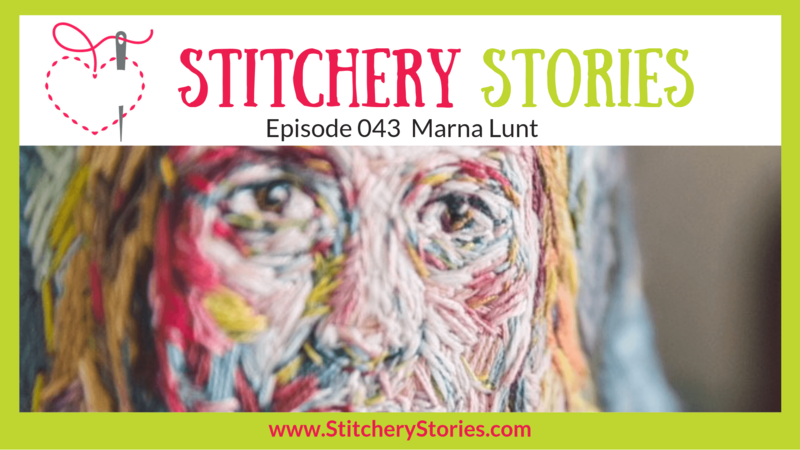 Sorrell is a creative who produces work in different mediums – textile art, print, painting, film, as well as writing music, playing guitar and singing in several bands through the years. Our main focus in this episode is around the excitement of the four large hand embroidered portraits that Sorrell was commissioned to create for Bolton Museum Egyptology collection. These are now part of the Museum’s permanent collection. 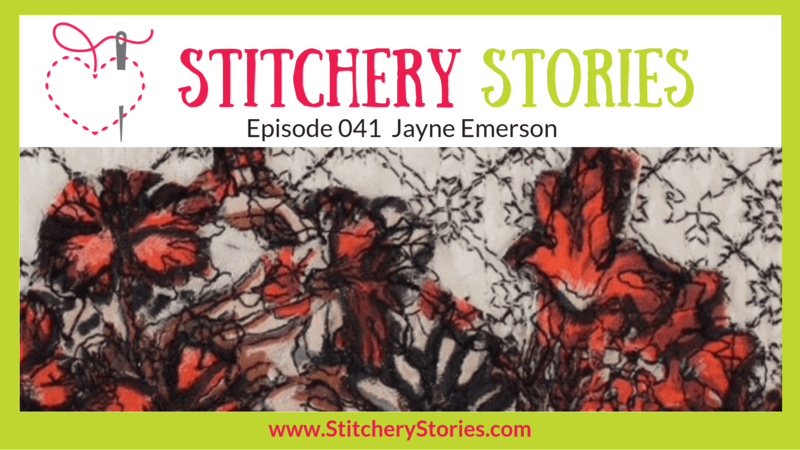 Today on the Stitchery Stories embroidery and textile art podcast, Jayne Emerson shares her life in fabric & thread. 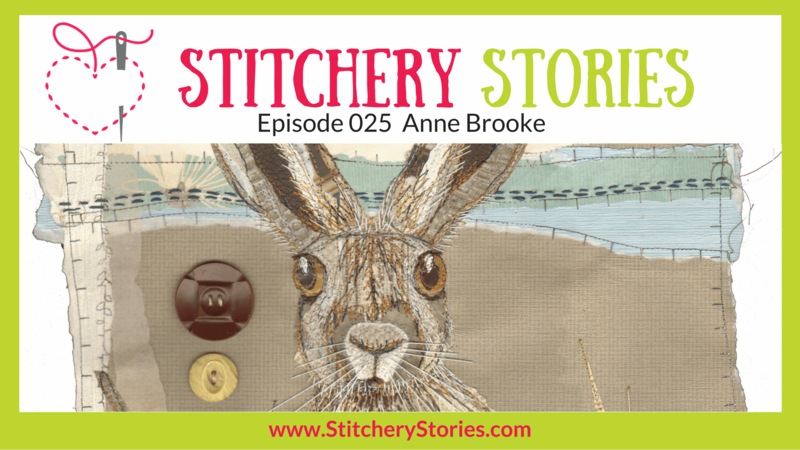 Jayne is a textile designer, as well as the author of 6 books and a tutor in a range of textile related techniques. 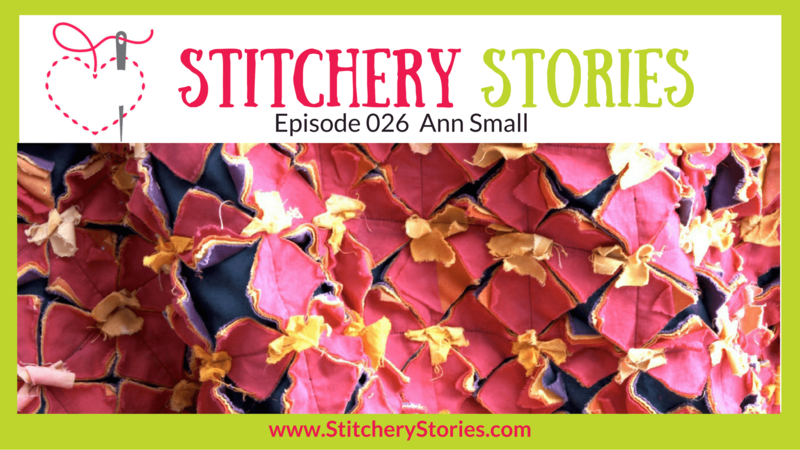 Her skills range from couture to crafts. 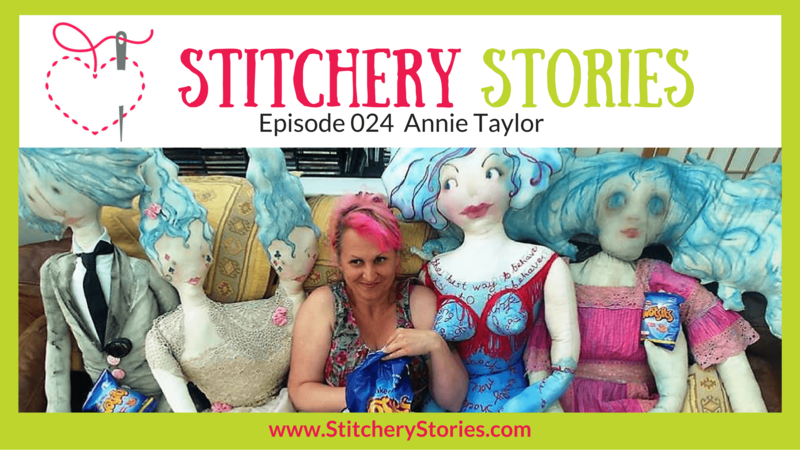 Today on the Stitchery Stories embroidery and textile art podcast, Hayley Mills-Styles shares her life in fabric & thread. 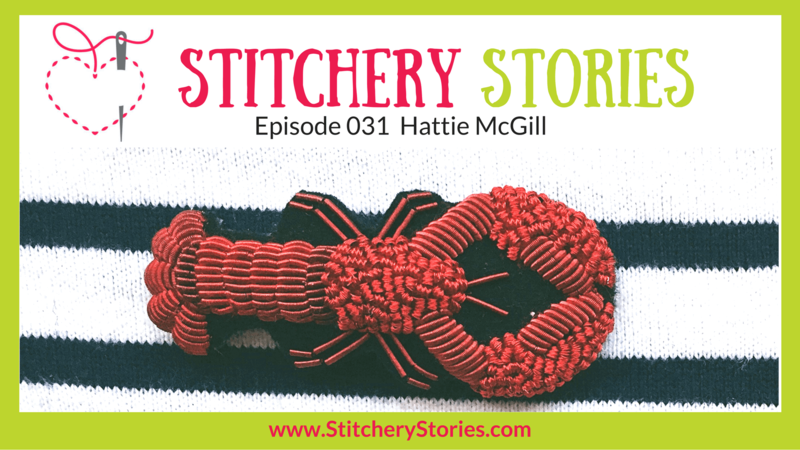 Hayley describes herself as a thread artist, and has had a very busy year so far culminating in two solo exhibitions. 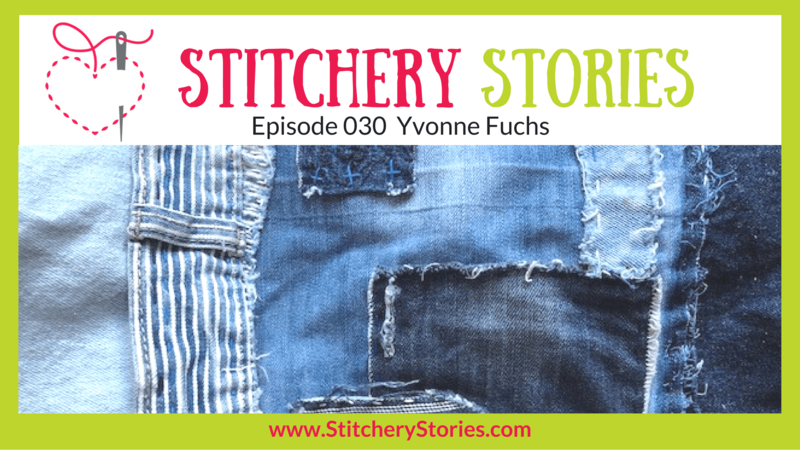 Whilst she has a love for backstitch, we have a great chat about her love of digital embroidery.